When Oklahoma Gazette declares that this is the Best of OKC, we do it with confidence because weve got the statistics to prove it. Over 1 million votes get cast in this annual celebration of what makes our city amazing, inventive, adventurous or delicious, and it takes some powerful computing and tolerance of paper cuts to bring it all to glorious fruition. This collection of winners is not just for the casually curious. 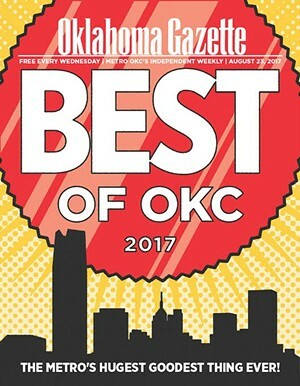 Gazettes 2017 Best of OKC issue is a field guide that an intrepid reader could use to explore every element of goodness (or bestness, as it were) in this fair city. Each entry represents something worth experiencing, whether its discovering a great bar, hearing a phenomenal singer/songwriter or learning about a new retail store. This issue can solve problems, plan weekends, serve as a tour guide and act as an immediate rejoinder to skeptical outsiders who dont believe how good we have it. This is the 33rd time weve taken the deep dive into all things best, which means were one-third of the way through our first Gazette Best of OKC century. Weve always been proud of our best, but given the unprecedented strides in all areas covered in these pages, we think youll agree that the Best of OKC is only getting better, which means we might have to invent new superlatives to describe this place next year.